Alteryx is the market leader in self-service data analytics. 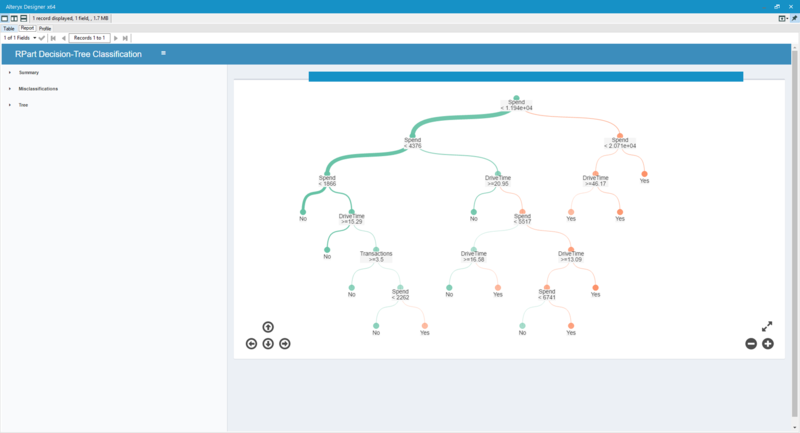 Alteryx Analytics provides analysts with the unique ability to effortlessly prepare, link and analyze all of their data using a repeatable workflow, and then leverage and share the customizable analytics for deeper analytical insights in hours rather than weeks. 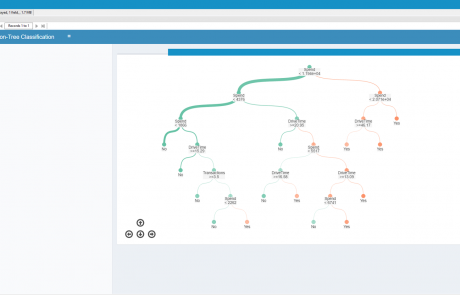 Alteryx is a self-service data analytics specialist that has moved away from the traditional, complex and costly method that has been offered so far. 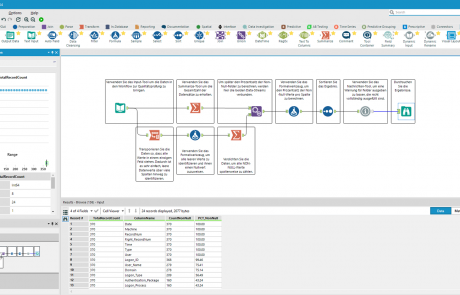 Alteryx supports analysts in sales, marketing and other business areas to prepare, link and analyze data in a repeatable workflow so that they can answer strategic business questions in an optimal and targeted manner. More than 1,100 customers include Siemens, Walmart, McDonalds, BCG, Verizon and Experian Marketing Services. 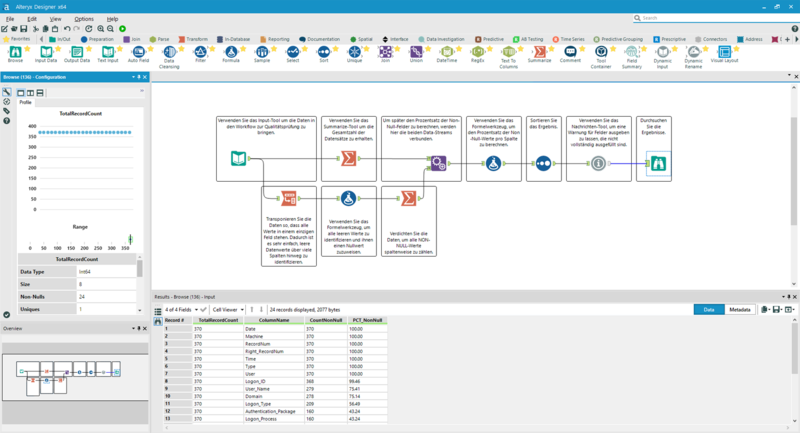 Alteryx Analytics provides analysts with an intuitive workflow for data blending and advanced analytics providing deeper analytical insight into business processes within hours. With traditional approaches, this usually took weeks. 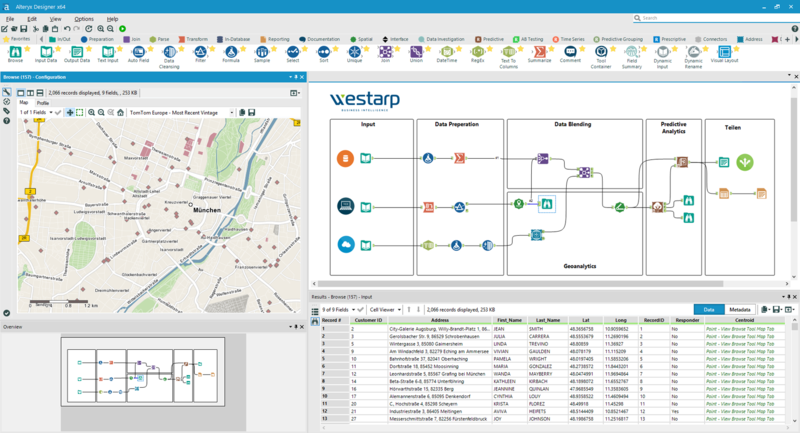 Analysts love the Alteryx Analytics platform because it connects data from data warehouses, cloud applications, tables, and other sources, cleanses them, and then performs analyses – predictive, statistical, or spatial – with a single user interface, without coding. All this is done via an intuitive workflow designed specifically for analysts. Easily cleanse and connect internal data, third-party data, Hadoop and cloud-based data. 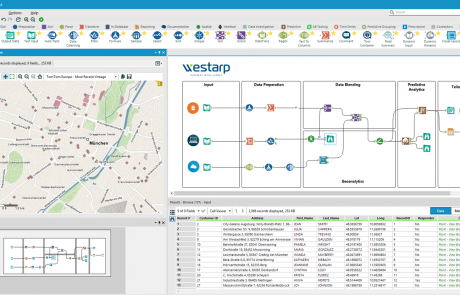 Over 90 integrated tools for spatial and predictive, R-based analysis. Easy creation of reports, data for visualizations or analysis apps.